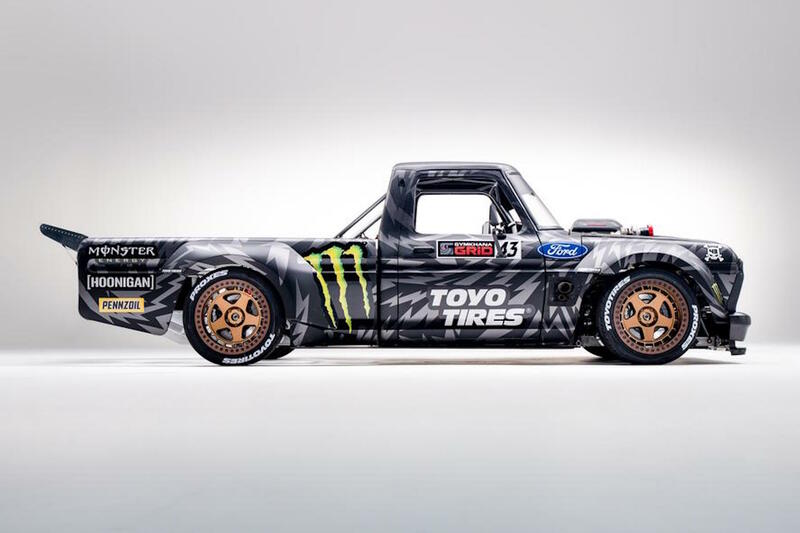 In anticipation of his forthcoming Gymkhana 10 video, Ken Block has unveiled his latest tyre-shredding creation. 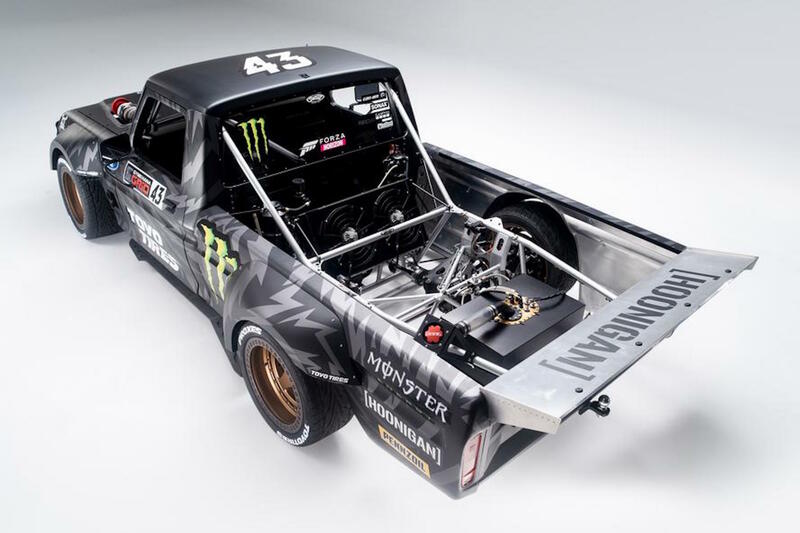 Clearly deciding to add some practicality, this time Mr Block has picked a 1977 Ford F-150 pickup truck as the base for his awesome machine. Although we’re not sure how long any cargo would last in the exposed bed of this truck. The engineering is also anything but agricultural. Lifted straight from the Ford GT Le Mans racer is a 3.5-litre EcoBoost V6 engine. With twin-turbochargers, the total output is a terrifying 914hp and 701lb-ft of torque. Revving to over 7,400rpm, the engine is made from billet aluminum, and is claimed to sound like “nothing you’ve ever heard” in previous Hoonigan videos. 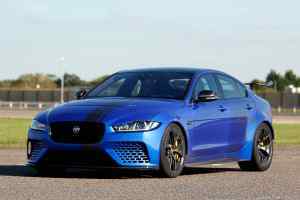 To handle all that power is a four-wheel drive system, mated to a Sadev six-speed gearbox. This is a similar setup to the ones used in Block’s Hoonicorn Mustangs previously. The 20-inch Fifteen52 wheels are mated with Toyo Proxes ST II tyres. Military-grade aluminium is used for the custom bodywork, created by Detroit Speed Engineering. 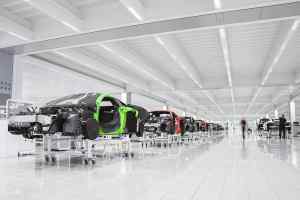 The same firm has also been responsible for the chassis construction, and the overall engineering of the incredible project. 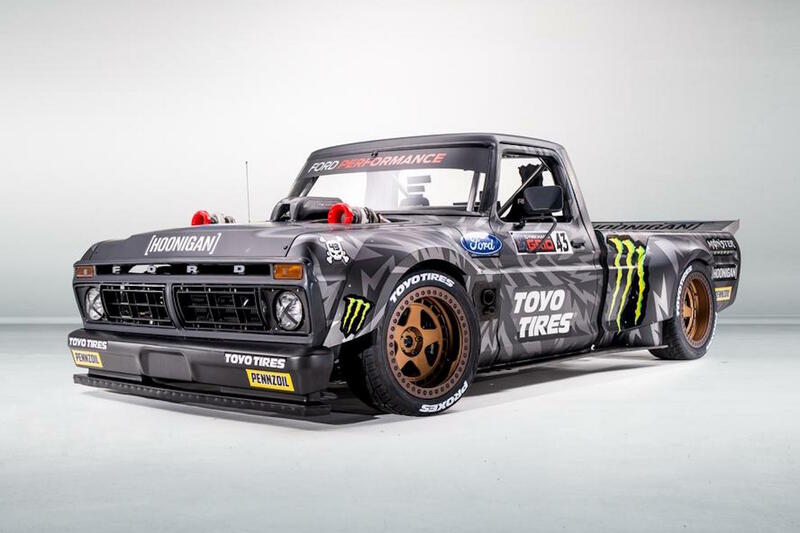 Sentimentality has played a part in inspiring the design of the Hoonitruck. Whilst Block is a self-confessed fan of pickups, this particular choice of F-150 has a family connection. Block’s father owned the base version of the sixth generation F-150. It was the truck the younger Block learnt to drive in, before later using it to transport his dirt bikes. 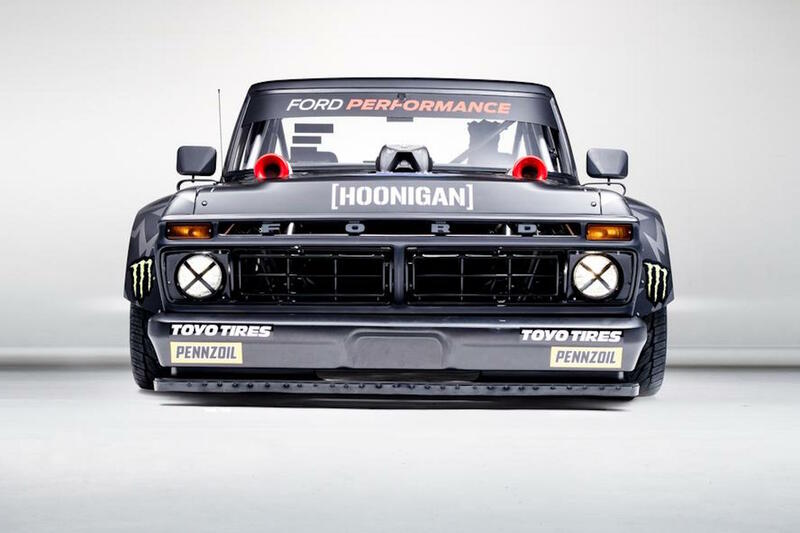 Hoonigan fans will have a chance to see the new blockbuster at next week’s SEMA Show in Las Vegas. 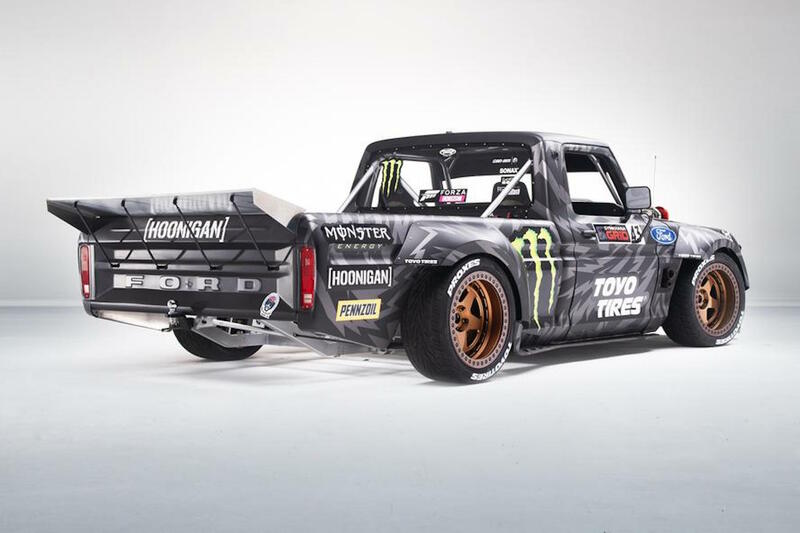 The Hoonitruck will also feature in the Forza Horizon 4 Xbox One game, being made available from the 2nd November. However, the main event will happen later in the year with the debut of the Gymkhana 10 video. Amazon Prime Video subscribers will get to see it first on the 7th December, with a global YouTube release on the 17th December.